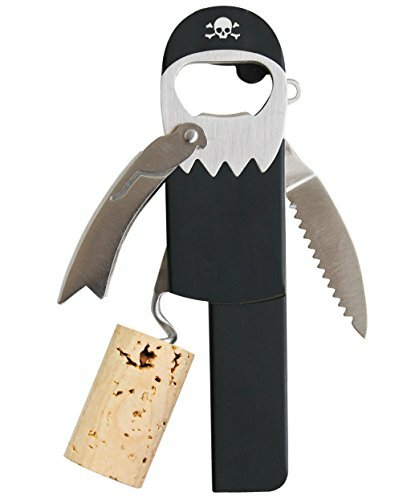 Gift Ideas For Pirate Loving Scurvy Dogs! 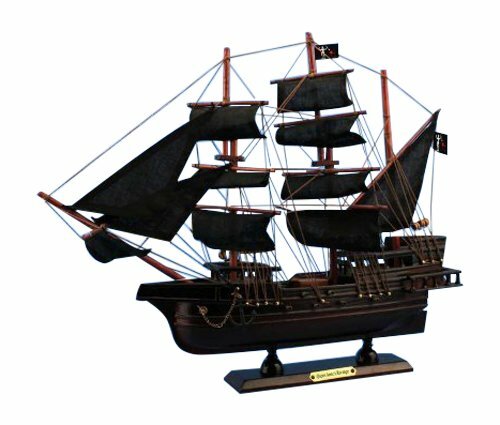 Interested in gift ideas for pirate lovers, are ye? 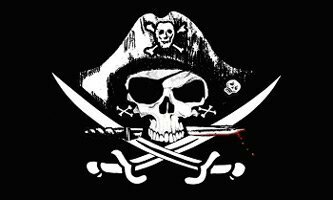 Here is me collection of the finest pirate booty in all the land. 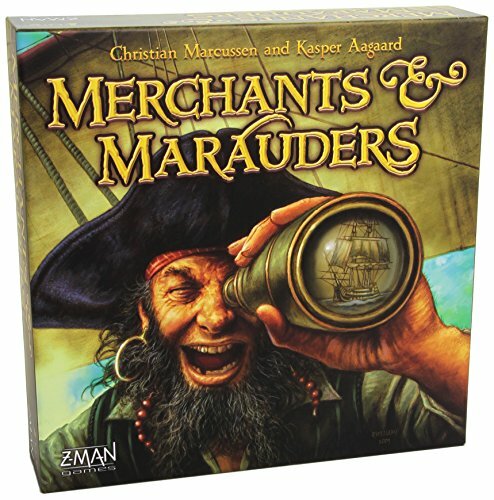 We pirates be fond of weapons, maps, books, flags, ships, games, and of course buried treasures! 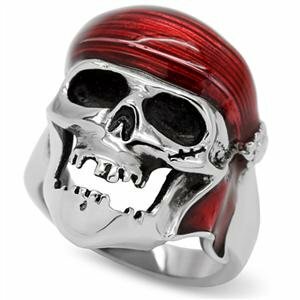 So gather ye dubloons and swipe some of these pirate treasures for the pirate lover in ye life, as this bounty is sure to please any landlubbing matey. 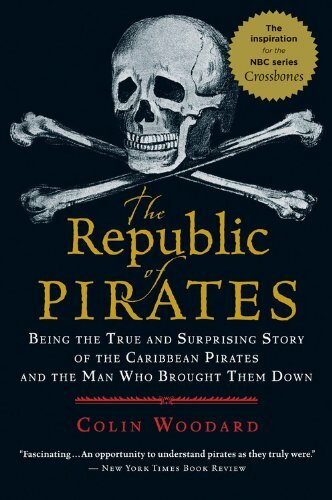 And if ye find the scurvy gas bloated bilge runner doesn’t like ye gifts, remember that dead men tell no tales! Ahoy! 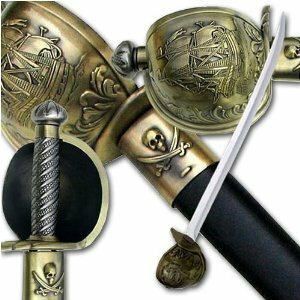 The Cap’n says all pirates and buccaneers be needin’ a fine weapon. 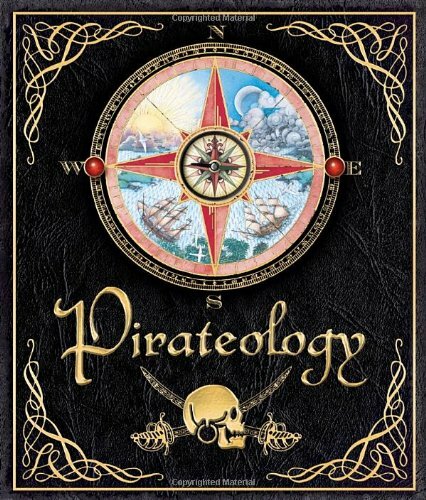 These treasures be some of the finest options for gift giving to pirate wannabes. The Cap’n says these weapons be fine for pillagin’ and findin’ even more loot and bounty. 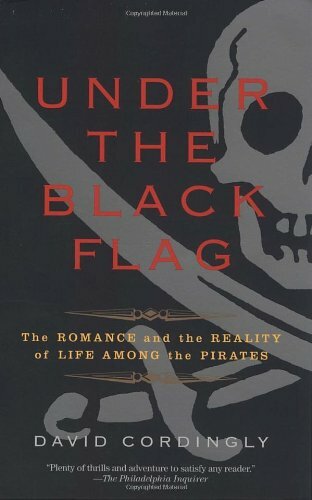 For talking like a pirate, I’d recommend this book: The Pirate Primer. 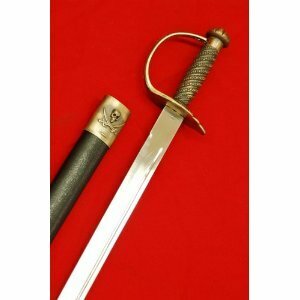 It’s got ebbry-blastin’-theng ye needs must know to lay tongue liker aargh-thentic pirate, by the devil’s twisted tail. 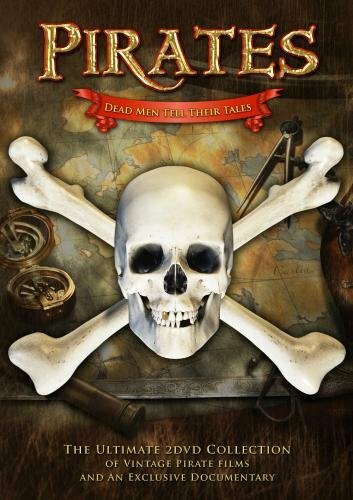 That be a great guide for International Talk Like A Pirate Day! There be many a pirate on the big screen. 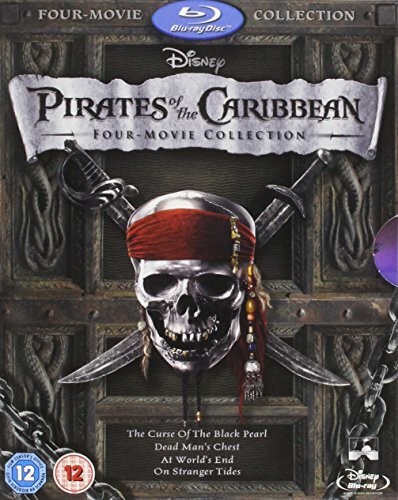 Here’s a fine haul of all sorts of pirate movies for ye entertainment. 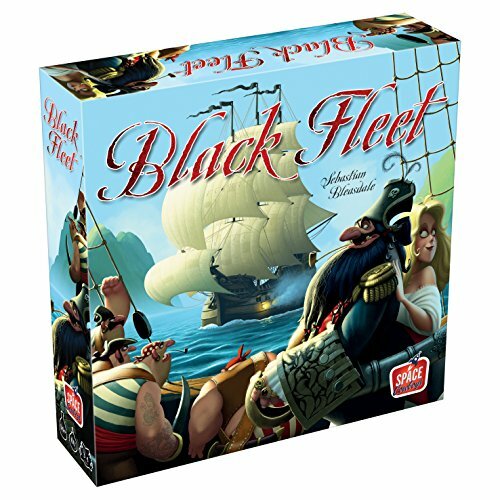 Listed here are a few of the Cap’n’s favorites, bound to please any landlubber. 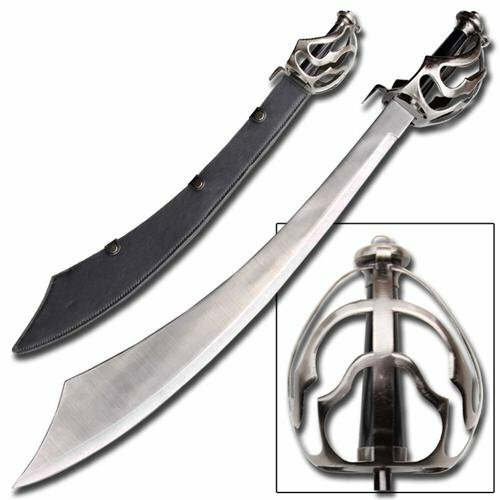 A true pirate loves only ye sword more than ye ship, so don’t be skimpin’ on me vessels, matey. 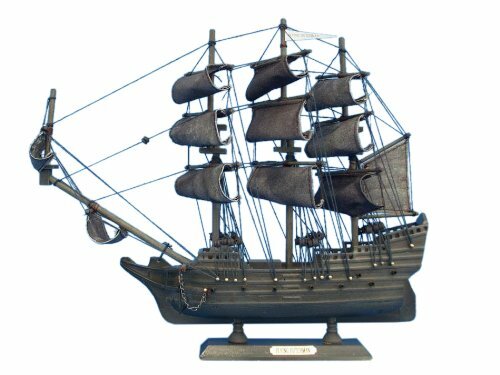 These fine pirate ships be perfect for displayin’, not for sailin’, so no walkin’ the plank of these ships, eh’? 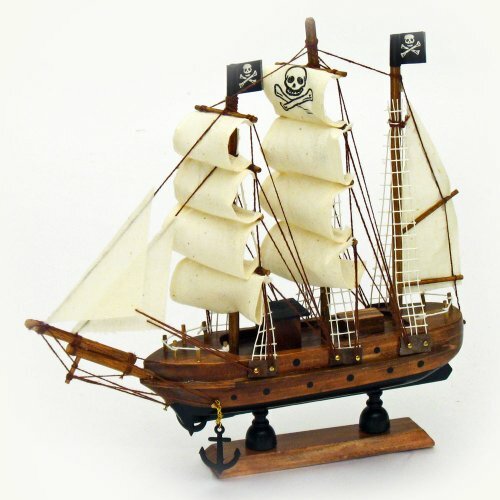 No pirate ship be authentic without displayin’ the good ol’ Jolly Roger! 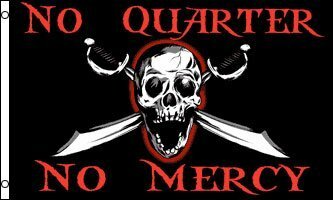 Here be me favorite pirate flags for sailing the open seas or showin’ off ye great flags on ye walls, if that’s yer thing. 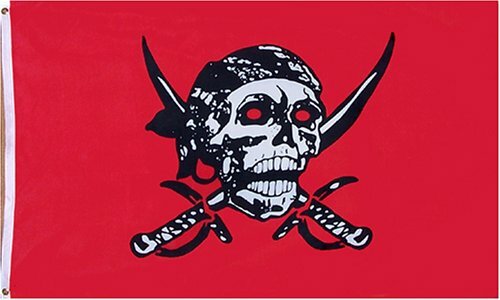 Check out all the pirate flags they be offerin’, if none of these tickle yer keester. 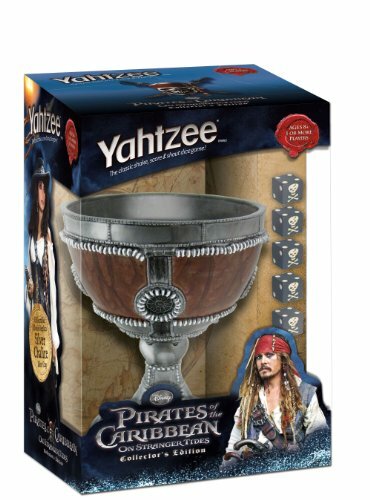 Me pirate buddies love to gamble and game and win ye coins from ye purse. These be me favorites for gaming with the cards, dice, and at ye table. 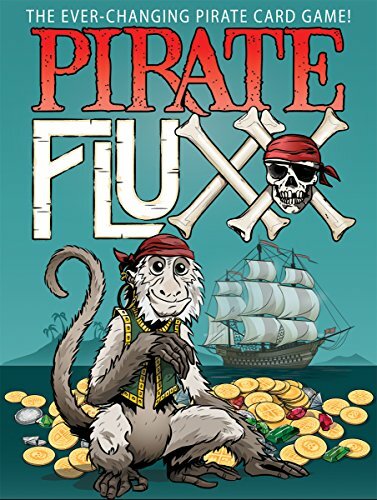 If ye can’t be sure which pirate games to steal for ye mates, then start with me favorite card game of all time, FLUXX. 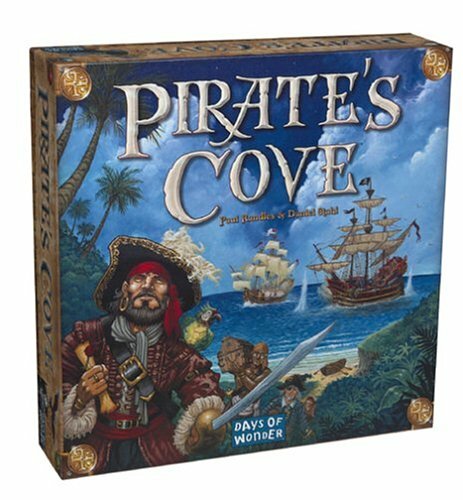 There be one made special for me pirates. No ocean voyage be complete without a fine stock of spirits and rums. 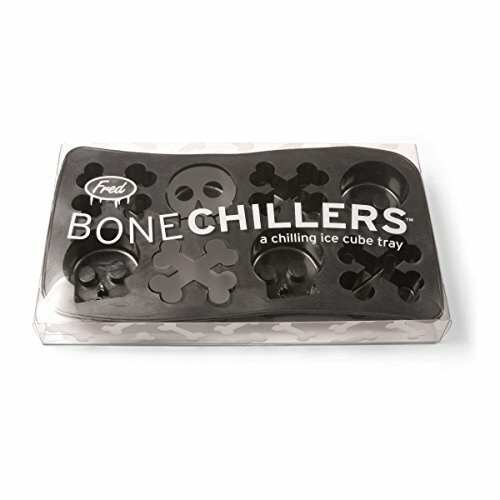 These be great treasures for drinkin ye sorrows away on the open sea. Argh, me rings! We be sportin’ ye finest jewels and metals with these pieces for ye bounty. 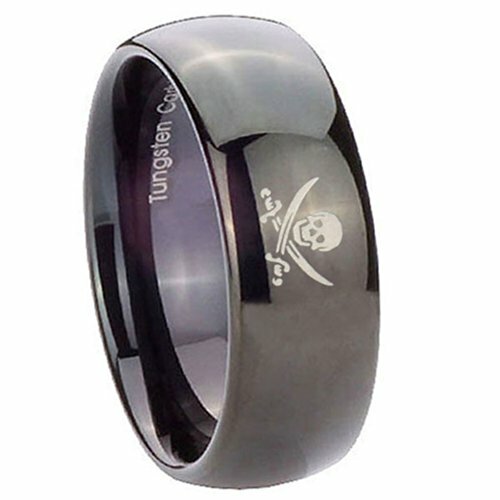 The good ol’ Jolly Roger makes for a fine ring, not just for ye flags. 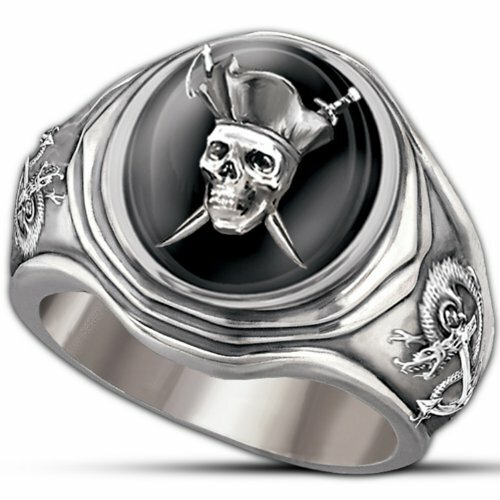 And there never be enough skulls for me rings. 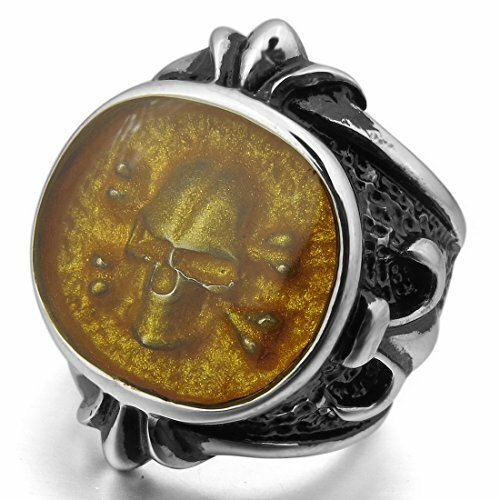 If luck be with ye, ye might even find one with ye old owner’s finger insides me new ring. 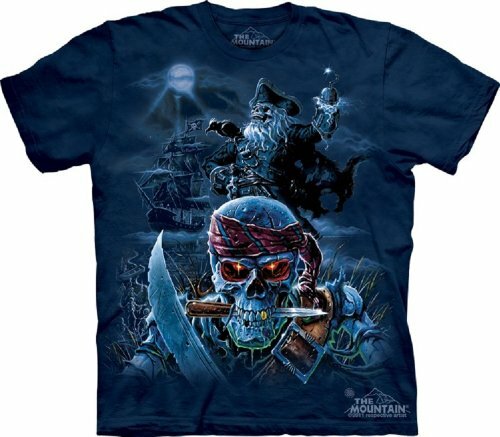 There be shirts a plenty for me pirate lovers. 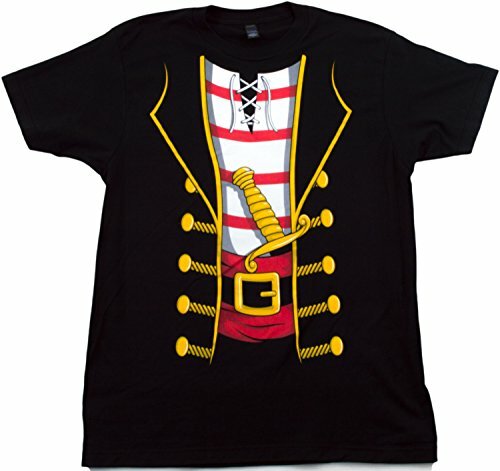 Some be shirts with pirates and some be actual pirate shirts. 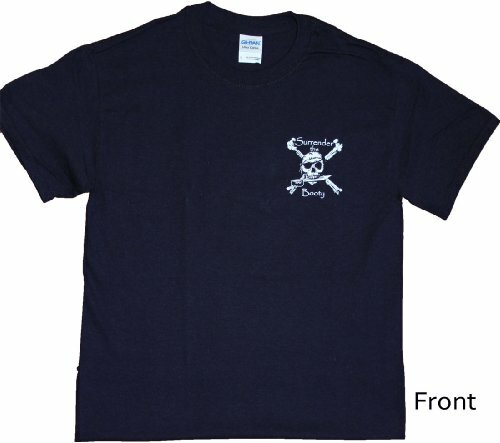 Check out all ye pirate shirts here for more of me loots. 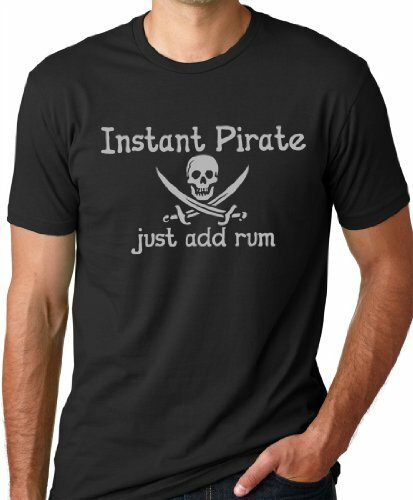 Yer Shirts be fairin’ well with a good ol’ pirate hat. 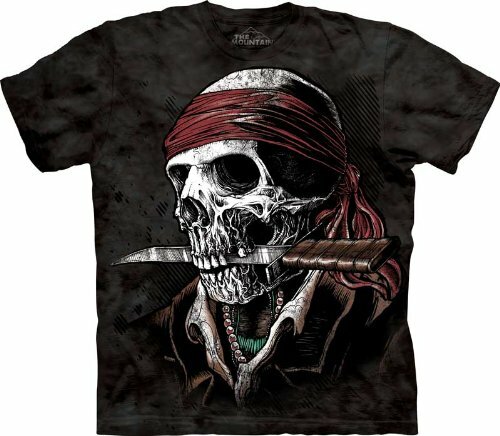 For even more dandy clothing wares, be sure to check out me favorite site TO BE A PIRATE, where they have tons of pirate garb, clothing, cosplay gear, and the like. 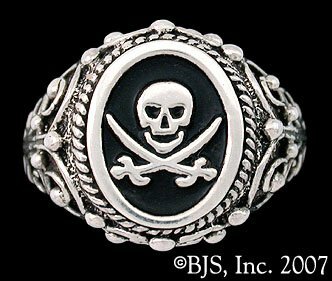 That be me favorite bounties and loots for gifts for ye fans of pirates, swashbucklers, buccaneers, and ye like. 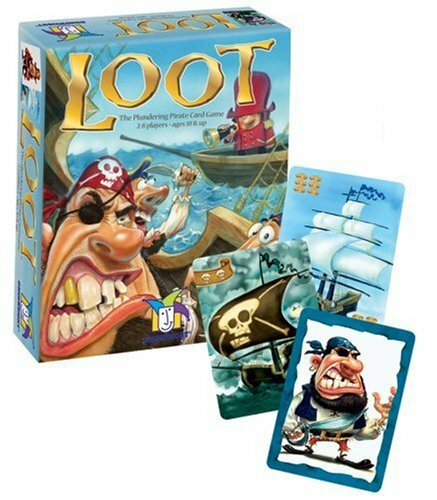 I’m thinkin’ me found plenty of loots for ye pirate lover in ye life. 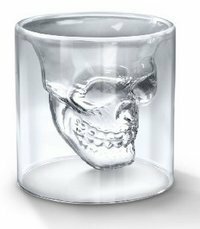 So enjoy yer bounties and live life to ye fullest, just like me mug of ale! Avast, I bid ye farewell. 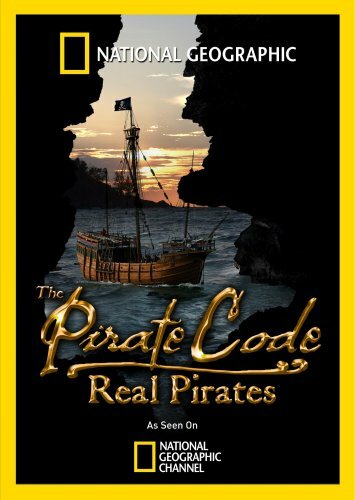 ROFL – this pirate gifts post was so much fun to write.